For 2015 Natasha set herself the challenge of sailing from Cowes right into the heart of the UK’s capital city, and then to walk around the City of London in her Hart Walker. Setting off on the 23rd May from Cowes in light winds the journey to London began, stopping at Brighton, Eastbourne, Dover, Isle of Sheppy and Gallions Point, and the final destination St Katherine’s Docks by Tower Bridge. During this time the weather varied considerably stopping Natasha for a couple of days due to storms and high winds She covered a total distance of 247 miles. 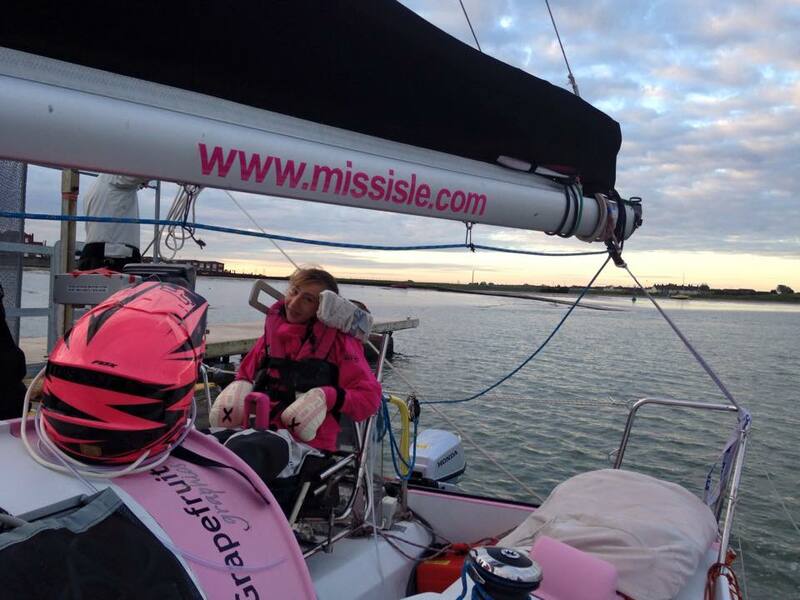 Natasha was also joined for 2 days by offshore sailor Nikki Curwen. 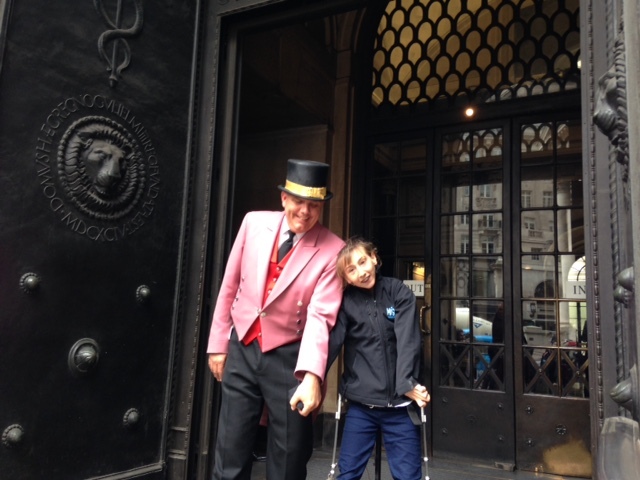 Finally in London she swapped her adapted boat for her Hart walker, and walked through the city streets of London from St Katherines Marina to the Bank of England, taking 3 hours to walk. 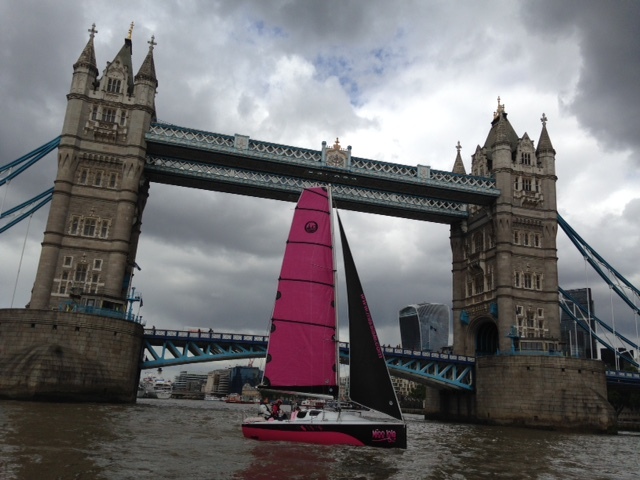 She was fundraising as the journey progressed and finishing with a charity drinks reception at The River Lounge. The 12 day adventure threw up lots of challenges along the way, with support crew logistics, access, fatigue and sometimes just being uncomfortable sitting for 8 hours plus on longer sails. But it was all worth it, and Natasha raised over £8,000 to be able to start the new Charity MissIsle School of sip-puff Sailing to enable other with similar needs to her be able to learn to sail as she has. Once gain the challenge just left Natsha wanting more though, so plans were cooked up for the next big thing in 2016.